Turkish police continue to detain more people from all walks of life over alleged links to the Gülen movement, which the Turkish government accuses of masterminding a coup attempt on July 15. In İzmir, a total of 41 civilians were detained on Tuesday on charges of using ByLock, a smart phone application that authorities believe is a communication tool between members of the Gülen movement, according to the state-run Anadolu news agency. 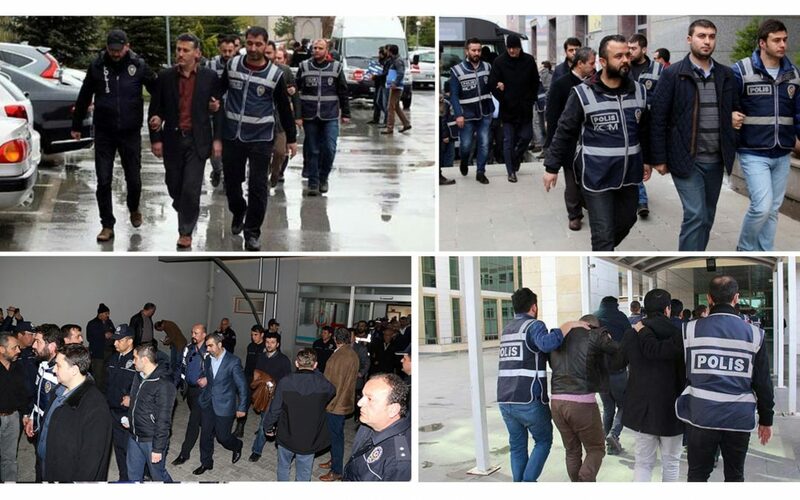 In Malatya, 20 teachers who had previously been dismissed from their jobs by government decrees issued in November 2016 were detained over alleged links to the Gulen movement, Anadolu reported on Monday. In Bolu, Ankara, Elazığ and Eskişehir, police staged simultaneous operations and detained a total of 27 people over alleged links to the movement. In Ağrı, 14 civilians were arrested for alleged involvement in the coup attempt of July 15, Anadolu also reported on Monday. In Siirt, police detained 11 people for allegedly supporting the Kurdistan Workers’ Party (PKK). In Giresun, 24 people, including businessmen and housewives, were detained over alleged links to the Gulen movement, according to Anadolu.